Apple increased its value by 5% to $178.1bn, while Google’s was up 11% to $133.3bn. Meanwhile fourth placed Microsoft, up 8% to $72.8bn, is snapping at the heels of Coca-Cola, the only one of the top five to see a value decline: it fell 7% to $73.1bn. Manfredi Ricca, chief strategy officer for EMEA and Latin America at Interbrand, said the brands enjoying the most impressive results were "doing more than owning a part of a sector – they’re redesigning what their business is about". There were three factors that united these brands, said Ricca. "First, they listen very carefully to what their consumers might want in the future. "Second, they create internally a very strong culture that comes before strategy, that enables their employees to challenge the status quo, that encourages their people to go out and change things. And third, they build the capability within the organisation to deliver what they promise." The auto sector was another driving brand value growth by investing in tech, Ricca said. "Whether it’s Toyota investing in AI, or Mercedes or BMW thinking about the ways they can create services, what we’re seeing is the progression and convergence between information and mechanical technology, where there isn’t going to be a clear distinction any more." Sitting on top of the pile, a third larger than its nearest (and fiercest) rival, and still growing, it might seem perverse to describe Apple’s result as disappointing – but its 5% growth figure is tiny compared to last year’s 43%. It’s been more than six years since it launched a product widely seen as defining a new category – the iPad – and chief executive Tim Cook is seen more as a safe pair of hands than the visionary his predecessor was. So is the magic wearing off? No, said Ricca. 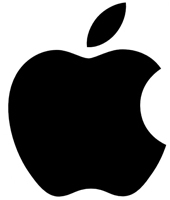 "I don’t think the Apple brand is in trouble – the level of expectation has been so high that even a relatively good performance from Apple is viewed with doubt and suspicion. "Yes, it hasn’t been putting out the same level of innovation, and I think most critics are waiting for the next big thing. But on the good side, its revenue from services at Apple has increased by 20% year on year. That shows that Apple is leveraging the spending power of its customer base, and that is really a good thing. This brand can still create enormous growth because it’s got such a big installed base." 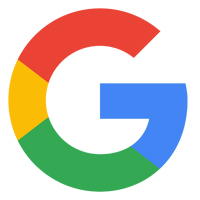 The announcement of Google’s new handsets under the Pixel brand this week signified a greater ambition to be a major player in hardware, but Ricca says the brand’s continued strength is the "fruits of continuity". 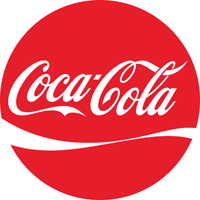 Four years ago Coke topped the Interbrand list but since then it has been left to eat the dirt of the two tech giants. But while its value is down a little on its 2012 figure, Ricca says it is not doing anything "wrong in particular", but is struggling with a hostile context of changing consumer habits and worries about sugar consumption. 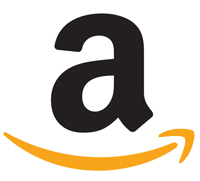 It has bounded into groceries, restaurant delivery, smart home systems, Emmy–winning TV shows, user-generated content, and perhaps most counter-intuitively, physical bookstores, but Ricca says Amazon’s strength comes down to all of its lines of operation being based around offering "proximity – reducing the distance between desiring and owning. It’s a stirring example of owning a concept and hopping through different sectors in order to deliver that promise." Ricca says that until the last few years, Facebook’s brand value was suppressed by concerns around the way it handled its users’ data – issues that it has largely moved past. "But now with everything in place, this year’s growth is actually unleashing the full potential of the brand," he says."